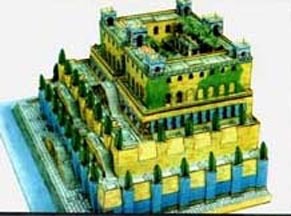 This legendary garden, one of the seven wonders of the ancient world, was built on the banks of the Euphrates river circa 600 B.C. 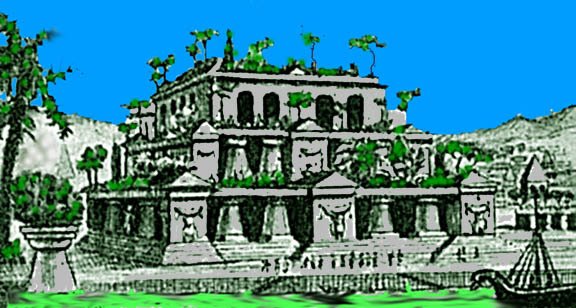 It may never have existed except in the imagination of Greek poets and historians although archaeologists claim to have found the remains of its walls. 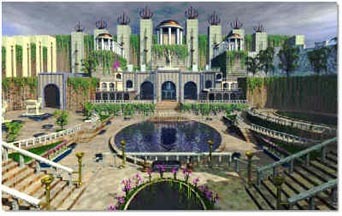 Most scholars attribute its construction to King Nebuchadnezzar II to console his Median wife, Amytis, who missed the mountains and greenery of her home land. 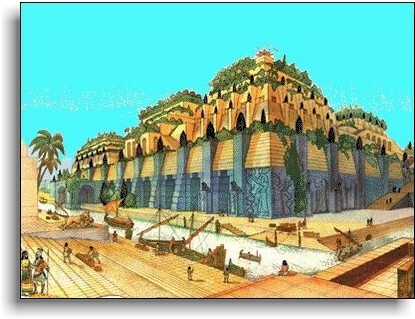 Others contend that it was the work of the semi-legendary Assyrian Queen Sammu-Ramat (Semiramis in Greek). 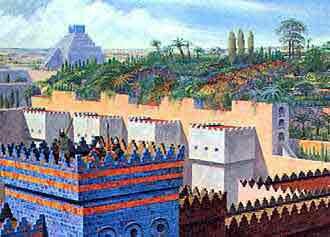 The Gardens didn't really "hang" but were built on terraces which were part of the ziggurat and was irrigated by water lifted up from the Euphrates. 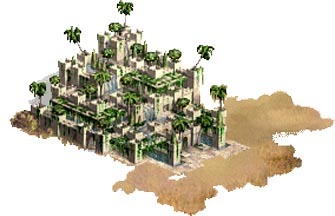 There is not a single mention of a "hanging garden" in the Babylon cuneiform record but this is probably because it was considered part of the ziggurat structure and not a separate entity in itself. 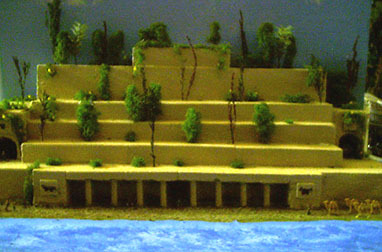 The images you see below are artistic recreations of the gardens based on descriptions of ancient Greek historians and poets. 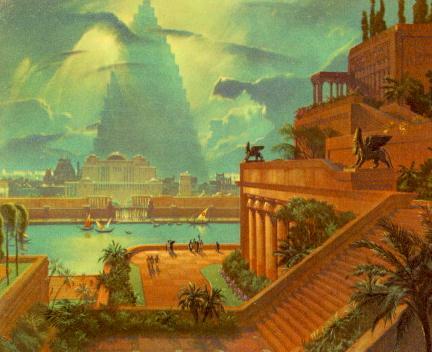 You would never guess where the following rendition came from. 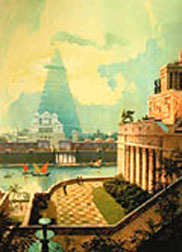 It's an old Budweiser beer poster!! 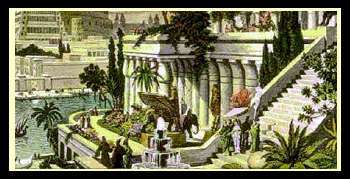 The image below is a famous painting of the semi-legendary Queen Sammu-ramat (Semiramis) and below it is a clipart image. 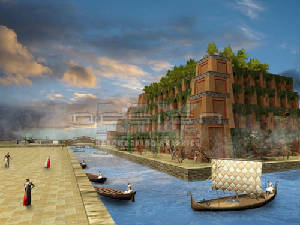 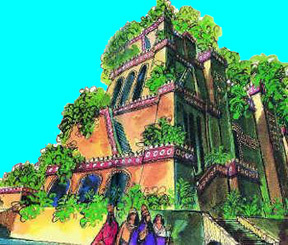 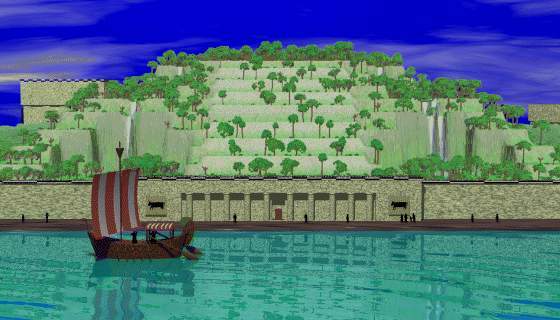 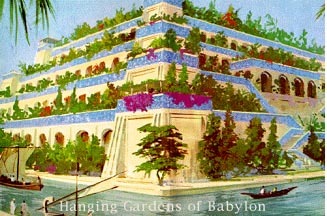 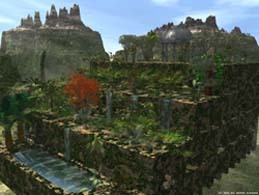 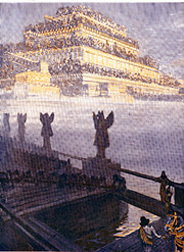 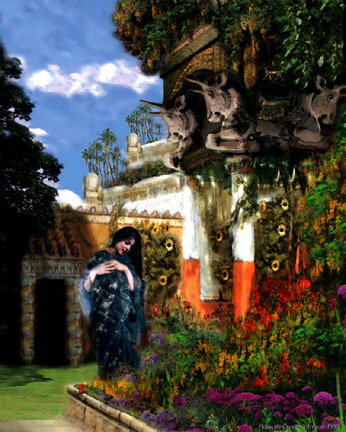 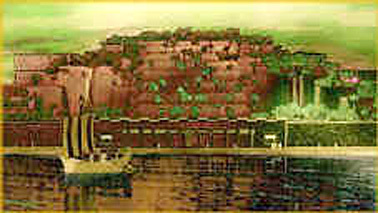 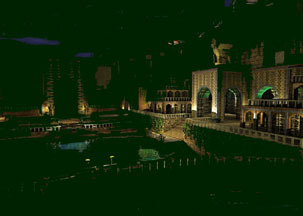 When and if we find more images of the Hanging Gardens of Babylon, we will edit this page to include them.